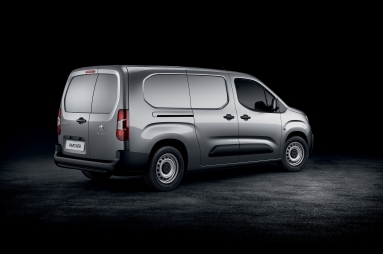 PEUGEOT has announced the UK pricing and specification for the all-new PEUGEOT Partner Van, starting from £15,825 Basic M.R.R.P**. 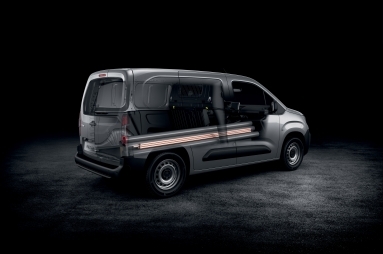 This third generation Partner Van bears all the hallmarks of the first two generations and brings increased loading capacities, improved dynamics, PEUGEOT i-Cockpit® and greater levels of driver assistance systems. The all-new Partner Van introduces new-to-segment technology, including a new Overload Indicator*, informing the driver when the maximum authorised mass is exceeded, and Surround Rear Vision which enhances the driver’s rear-view visibility, feeding back footage from two cameras to display on a 5-inch colour screen that replaces the traditional rear-view mirror. It also features Flankguard – a system informing the driver of the proximity of objects to the side of the manoeuvering vehicle and an Automatic Electronic Parking Brake (included with the Multi-Flex passenger seat and available as an option in vehicles with a single passenger seat). It comes available as a Panel Van, with two body and wheelbase lengths, four trim levels including two dedicated ‘Ready-To-Go’ versions – Asphalt and Grip – to suit different customer needs and a wide range of engines and gearboxes. 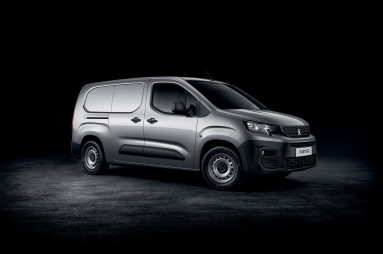 Using the PEUGEOT Connect SOS & Assistance hardware, which is standard across the Partner Van range, Fleet Managers can choose from three different telematics packages from Free2Move Connect Fleet, providing efficiency and optimisation of fleet management. These use true vehicle CAN bus data to provide accurate information to suit a fleet manager’s needs – whether that’s mileage tracking, hours of use, fuel consumption or real-time monitoring of service intervals and mechanical alerts. Driving analysis with customised advice for the driver and real-time location tracking are also available, assisting businesses in driving down both the costs and risk associated with vehicle management. The S trim comes with DAB radio, Bluetooth® hands-free, PEUGEOT Connect SOS & Assistance, electric windows, automatic headlights, nearside sliding door, full steel bulkhead, Electronic Stability Control and ABS with Hill Start Assist, EBA and EBFD as standard. Prices start at £15,825 for the Standard version and £17,800 for the Long version. Professional trim level adds air conditioning, rear-parking sensors, 8-inch capacitive colour touchscreen with MirrorLink®, six-way adjustable driver’s seat, cruise control with programmable speed limiter and automatic electronic parking brake. Prices start at £17,425 for the Standard length and £19,400 for the Long length. The Grip level has been designed for drivers that need to transport heavy equipment and up to three people. Benefitting from three front seats, 30mm raised ground clearance, a protective plate under the engine and enhanced traction thanks to Grip Control® with Hill Assist Descent, this is ideal for traversing difficult to access environments. This robust model stands apart with its large 690mm wheels fitted with Mud and Snow tyres as well as a payload of up to 1,000kg and Overload Indicator technology. The standard Loading Pack offers LED lighting to the load area, four additional mid-height load-securing rings and a 220V power socket. Prices for Grip start at £17,075 for the Standard version and £18,700 for the Long version. Asphalt is built for drivers making longer trips or numerous deliveries in urban areas. 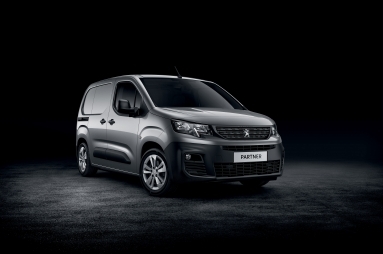 Benefiting from specific acoustic and thermal enhancements, an 8-inch capacitive colour touchscreen with PEUGEOT Connect 3D Navigation with voice recognition and DAB radio, it offers exceptional levels of comfort and refinement. The Surround Rear Vision system, Automatic Electronic Parking Brake and Visibility Pack with automatic headlights and windscreen wipers all help to reduce the stress of daily driving. 16-inch alloy wheels alongside body coloured side rubbing strips, door handles, exterior rear view mirrors and rear bumper all add to its assertive and modern design. Prices start at £19,970 for the Standard version and £21,820 for the Long version. Grip, Professional and Asphalt versions benefit from the Multi-Flex modular folding passenger seat, which provides an additional load length of 1,273mm and increases the load volume by 0.6m3. The all-new PEUGEOT Partner Van is available with the latest range of PEUGEOT diesel engines including the BlueHDi 75 manual, BlueHDi 100 S&S manual, BlueHDi 130 S&S 6-speed manual and the Blue HDi 130 S&S EAT8 automatic. PureTech petrol engines are also planned and will be subject to a further announcement in 2019. Bianca White is the standard colour for all versions, with Black and Ardent Red as well as Metallic colours, Cumulus Grey, Nimbus Grey and Deep Blue, available as options. 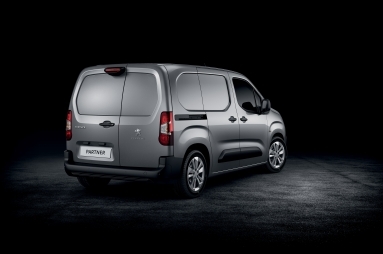 All-new PEUGEOT Partner is now available to order. Visit www.peugeot.co.uk for more information. *Standard on Grip version, available on all other versions. **All Basic Manufacturer’s Recommended Retail Prices are exclusive of VAT, delivery to Dealer and number plates, Government First Registration Fee and Vehicle Excise Duty.